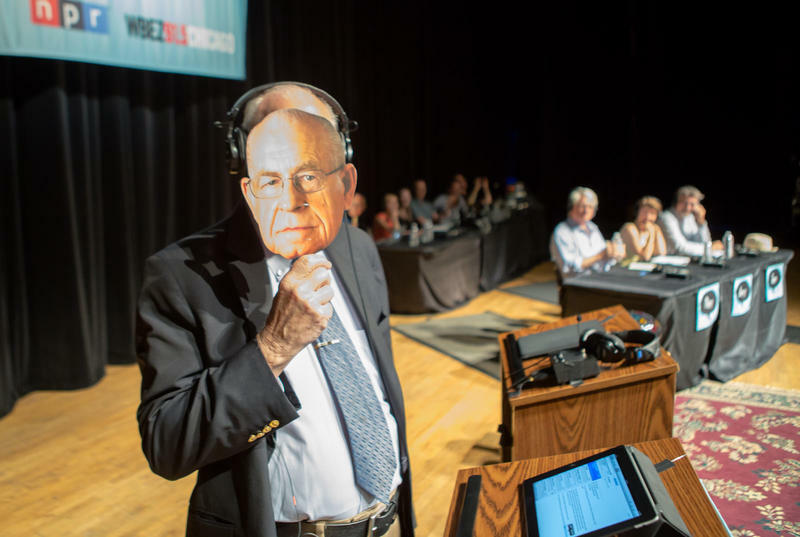 Carl Kasell dons a Carl Kasell mask at a "Wait Wait... Don't Tell Me!" appearance at Merrill Auditorium in Portland in 2012. 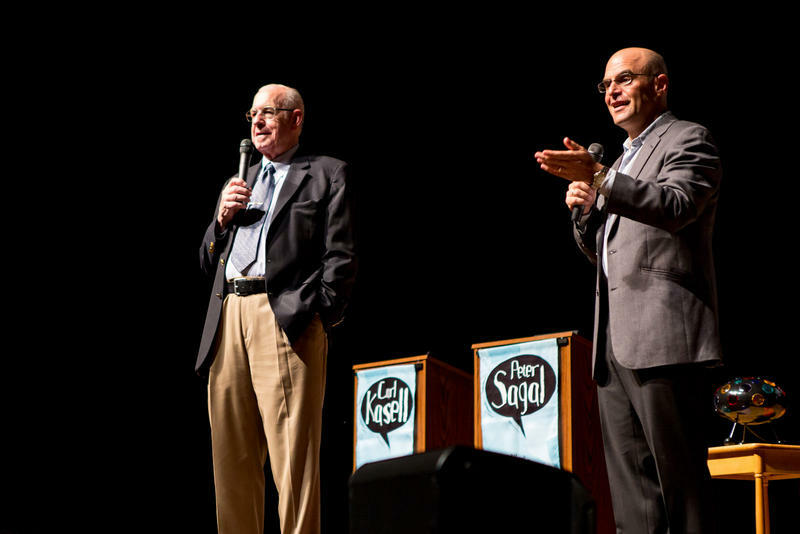 Carl Kasell (left) and Peter Sagal at Merrill Auditorium in Portland in 2012. 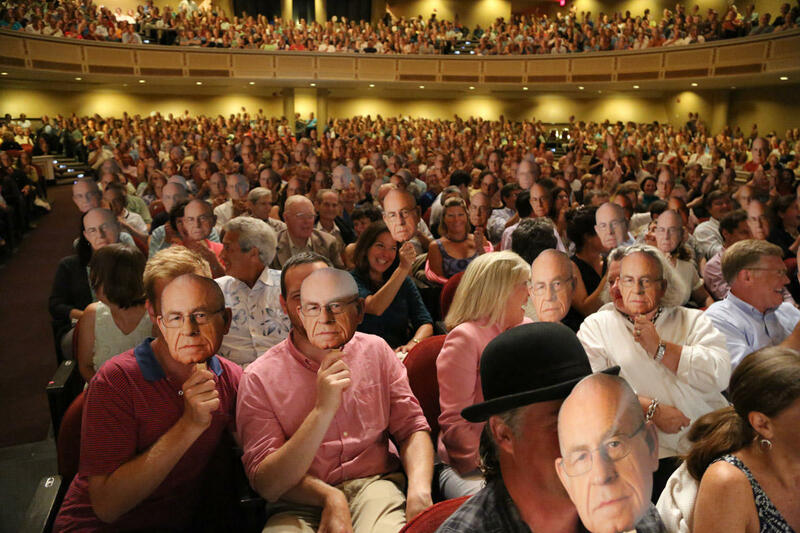 A sold-out Merrill Auditorium crowd was provided Carl Kasell masks in 2012. The voice of longtime Morning Edition newscaster Carl Kasell, who died Tuesday at the age of 84, was a familiar one among NPR and Maine Public fans. 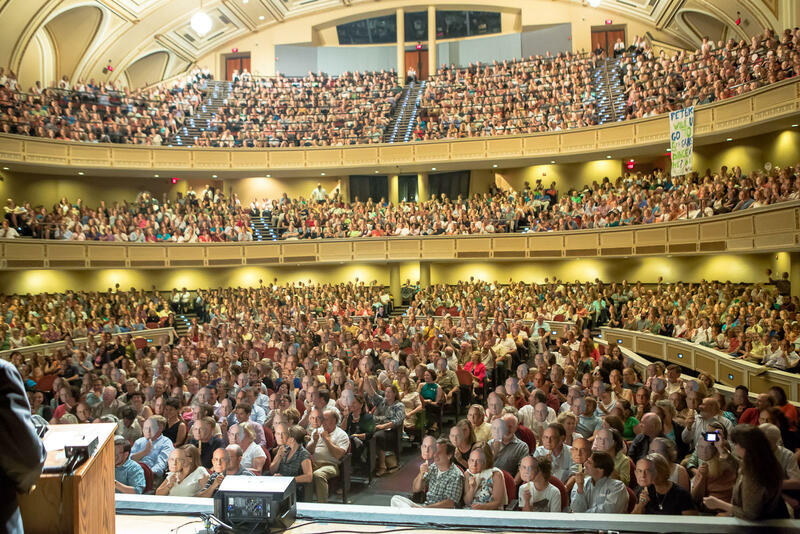 In August of 2012, Kasell paid a visit to Maine for a taping at Portland's Merrill Auditorium of the popular radio show, "Wait, Wait Don't Tell Me!" We couldn't resist the opportunity to have Kasell come by our Portland studios for an interview. MPBN Morning Edition host Irwin Gratz asked him if he missed doing daily newscasts, which he retired from in 2009.